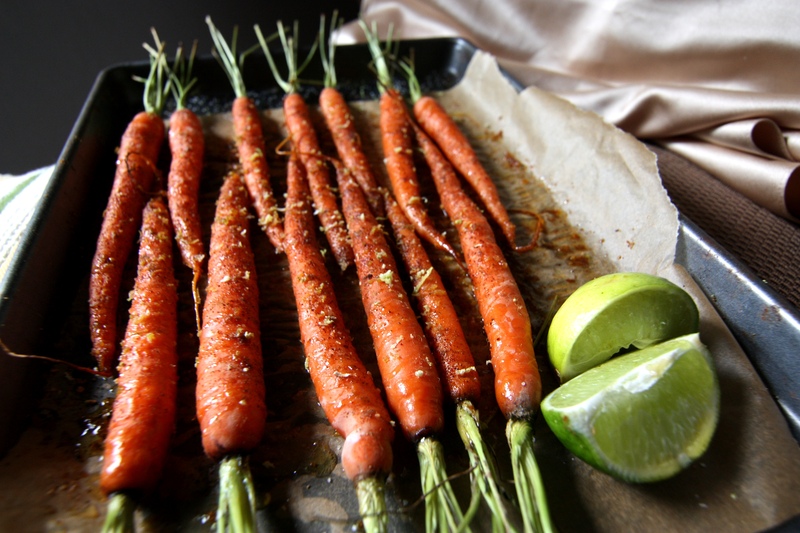 Trim the tops off the carrots. Toss them on a baking sheet with the olive oil, and zest, honey, salt and spices. Roast about 20 minutes, depending on size, until the carrots are just tender and beginning to deepen in color. Transfer to a plate and sprinkle with the fresh Lime Juice and serve!